You can fill two alphabets with all the news and trends that will appear in spring 2012. But let’s stick to the main stuff for now. Today part 4. 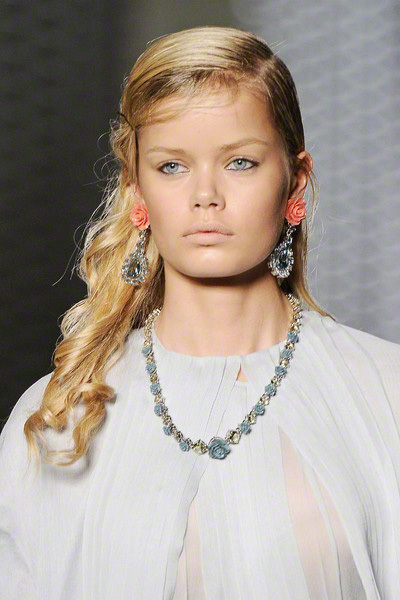 The more feminine and elegant womenswear gets, the more refined the jewelry. 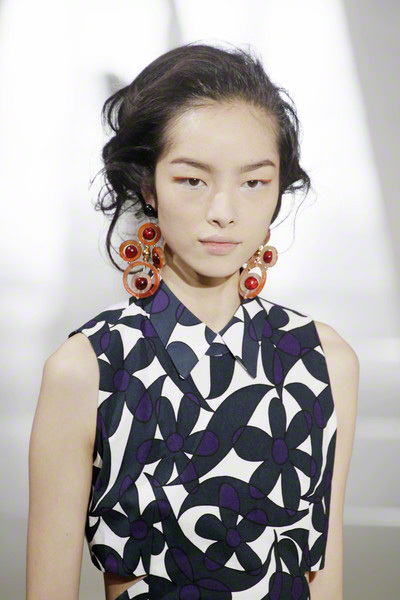 For the first time Prada presented necklaces and earrings in shiny stones and little roses, sweet and sophisticated at the same time. Marni is always strong with her jewelry, this time she focused at bracelets. 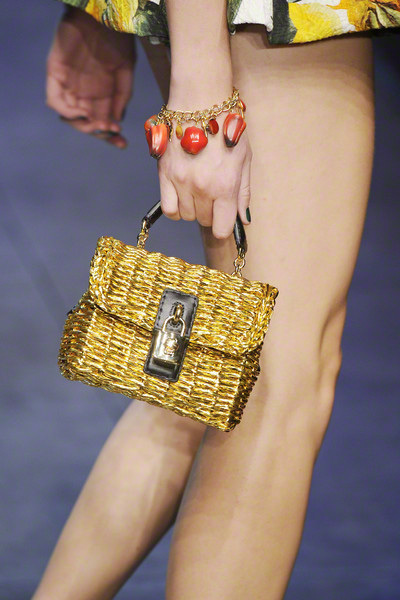 And what to think of the accessories at Dolce & Gabbana, made of fake-pasta, pepperoncini and garlic. 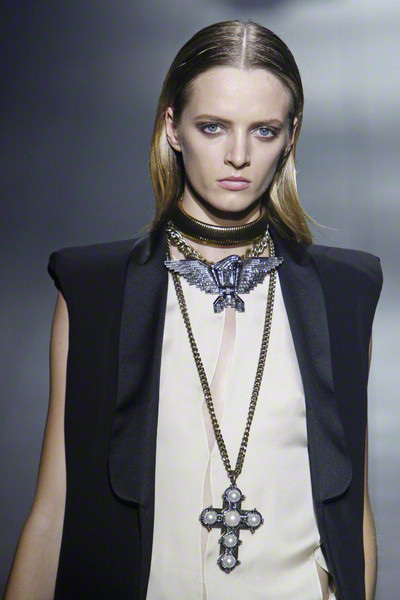 While they got inspired by the Italian kitchen, Alber Elbaz of Lanvin looked at the street and borrowed the chunky metal for his big bold chokers and pendants. For years Kanye West is a regular visitor of the fashionshows. He loves fashion and it seems he wanted to prove his knowledge with a collection of his own. Well, not everybody is convinced about his skills as a fashion-designer after seeing the collection for ss2012. The show he gave in Paris illustrates what he likes and problably what he likes women to wear. Lots of fur, lots of skintight dresses and a trashy (track)suit now and then. 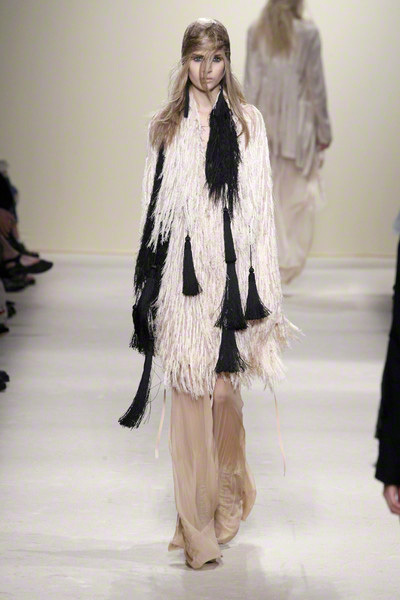 Although the couture spirit doesn’t leave much room for layers, there are designers who don’t want a stiff, minimal look but search for more fluidity, layering and movement in their clothes. Luckily. Not every woman is waiting for Balenciaga-esque silhouettes. 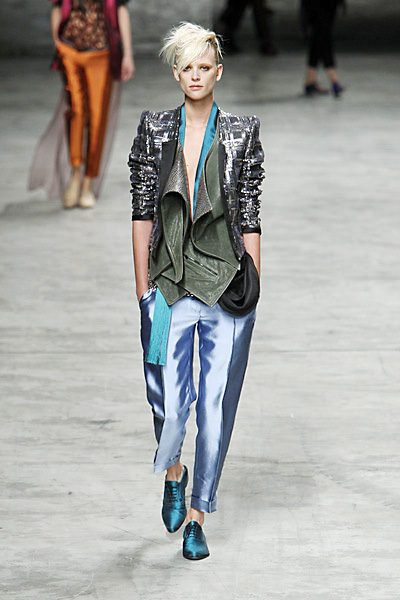 So thanks to Haider Ackermann and Ann Demeulemeester there are still exciting layers, color-combinations and silhouettes. 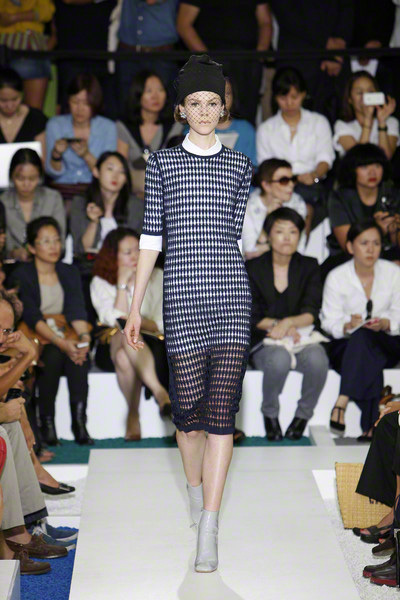 But even a modernist as Raf Simons plays with see through layers in his collection for Jil Sander.